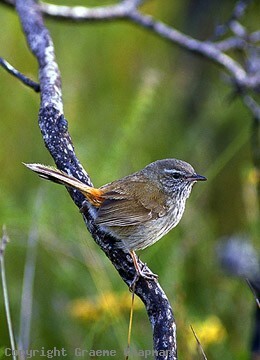 Chestnut-rumped Heathwrens are ground dwelling birds closely related to the scrubwrens. 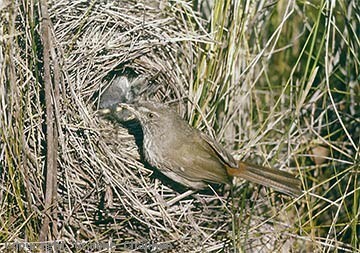 Not only in coastal heath, they inhabit a range of dense shrublands in subcoastal south-eastern Australia, from the granite belt on the Qld/NSW border through to the Mt Lofty and Flinders Ranges and Kangaroo Island. Chestnut-rumped Heathwrens are early nesters, beginning in June in some areas and then the males are in full song which is sweet, sustained and varied and includes expert mimicry of the songs of other birds. They are a sedentary species and maintain permanent territories.